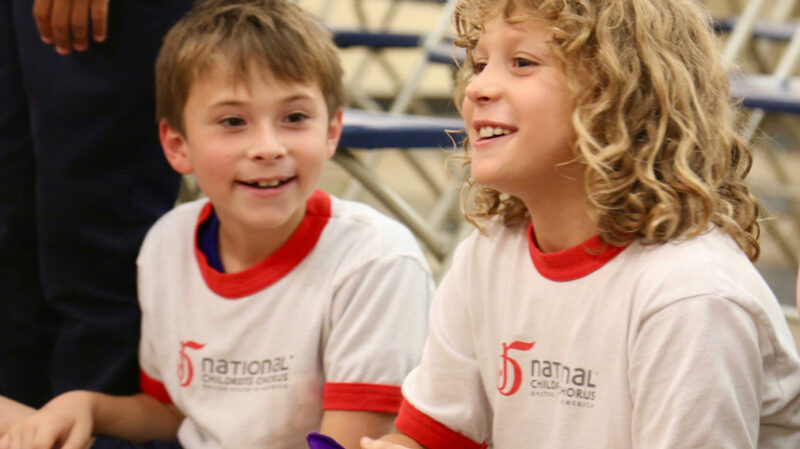 In the Junior Division, students ages 5-12 with beginning or intermediate musical experience build their skills and gain confidence in encouraging, creative rehearsal environments and performances. 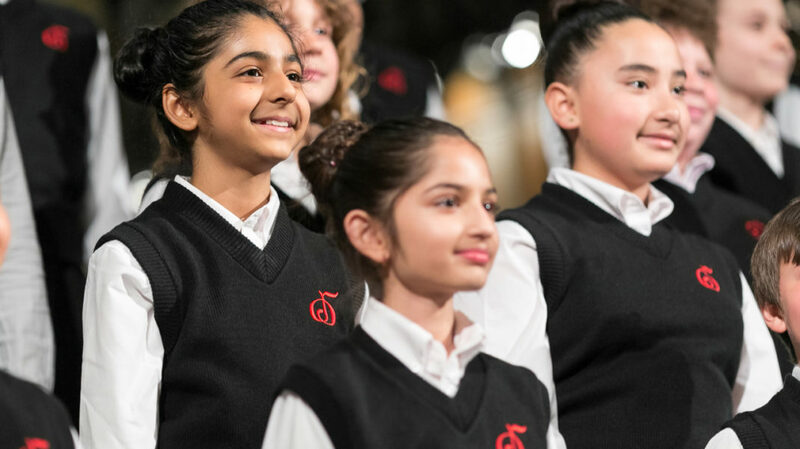 The Junior Division of the National Children’s Chorus consists of the Prelude Level, the Minuet Level, the Sonata Level, and the Concerto Level. 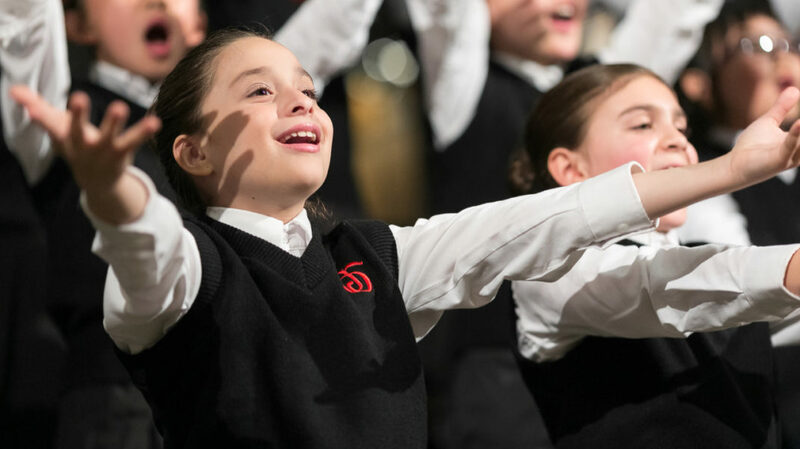 The Junior Division performs in two showcase concerts each year at The Church of St. Paul the Apostle and the First Presbyterian Church in New York. Explore below for additional details on each of these ensembles. 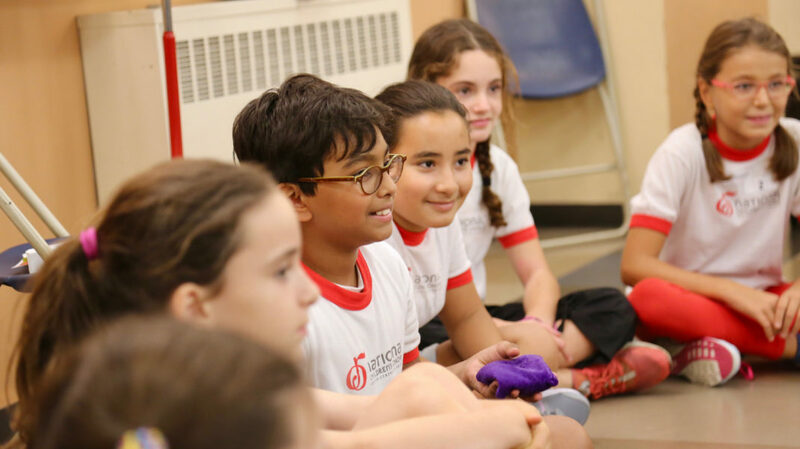 Members of the Prelude Level are introduced to the thrilling world of music in a fun and interactive class designed to open up the ear and explore the possibilities of musical expression through listening and moving. Basic vowel formation, proper posture and the beginnings of breathing technique are taught, while the foundation of the Kodály Method is set. Kaitlin Simonson teaches music at The Brearley School. Kaitlin holds a Master of Music degree in vocal performance from the University of Nevada, Las Vegas, and a Bachelor of Music degree in choral music education from Northern Arizona University. She recently relocated to New York from Las Vegas, Nevada where she taught choir at Canarelli Middle School. Under her direction, the Canarelli Middle School Advanced Choir performed at the ACDA Western Division Student Symposium in 2014. Ms. Simonson’s choirs have travelled throughout the western United States to San Francisco, San Diego, Phoenix and Flagstaff. 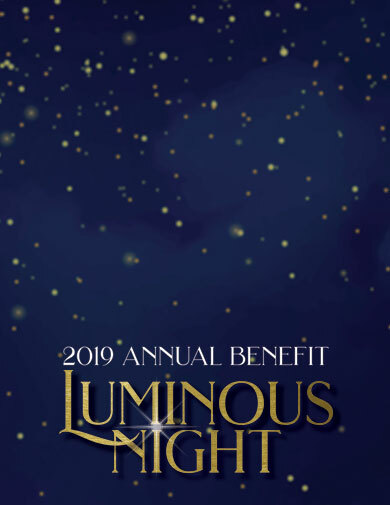 Ms. Simonson has performed as a soloist with the Southern Nevada Musical Arts Society and the San Diego Pro Arte Voices. In 2015, the Nevada Music Educator’s Association honored her as the New Music Educator of the Year. She has served as the Event Coordinator and Southern Zone Representative on the board of the Nevada Music Educators Association. She is an active member of the American Choral Directors Association, and an active member of American Kodály Educators. Paeivi Antturi was born and raised in Finland. During her time in school she developed a love for music and choral singing. This passion for music led her to follow a career as a music teacher. It has taken her to three different continents, teaching students ranging from grades Pre-K through 12th. Paeivi has a Master of Music degree from Sibelius Academy in Helsinki. She also has a Kodály level three certification from the Kodály Summer Institute at NYU. Paeivi is a dedicated music educator who loves to help young students discover the joy of music. Pianist and saxophonist Dan Meinhardt has grown into a must-have accompanist for ensembles and classes of all styles, both in Chicago and now in New York City. 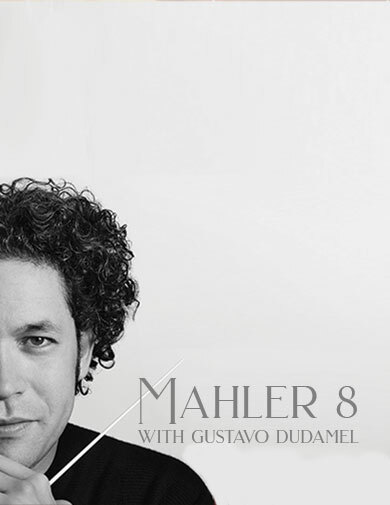 He has provided music for the dance companies of American Ballet Theatre and Alvin Ailey, accompanied soloists of the Metropolitan Opera, and regularly performs as a solo artist. Dan boasts an impressive background of instruments, styles, and experiences: he’s played saxophone with modern jazz ensembles, multiple woodwinds in Broadway productions, has been a featured soloist, and everything in between. Dan’s most recent recording, Outset (2016), features his original compositions and was released on ears&eyes Records. The Prelude Level in New York rehearses at The Church of St. Paul the Apostle, near Columbus Circle, on Wednesday afternoons. The Chorus is in session from September through May, and does not have rehearsals during the summer months of June, July and August. Please read below for more detailed information about scheduling and tuition, which will also be covered thoroughly during the application process. Members of the Minuet Level are introduced to the formal structure of a choral ensemble—seating, rehearsal protocol, choral tone and blend. 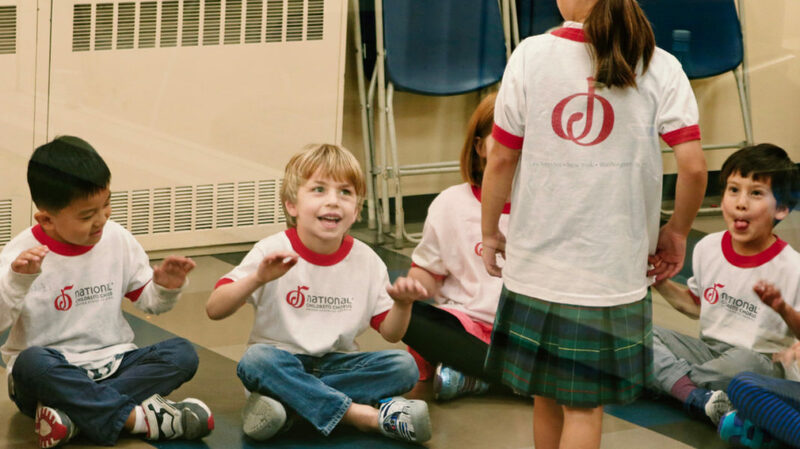 Musical terms are taught and used freely in an environment where students are encouraged to be curious, ask questions and seek answers. 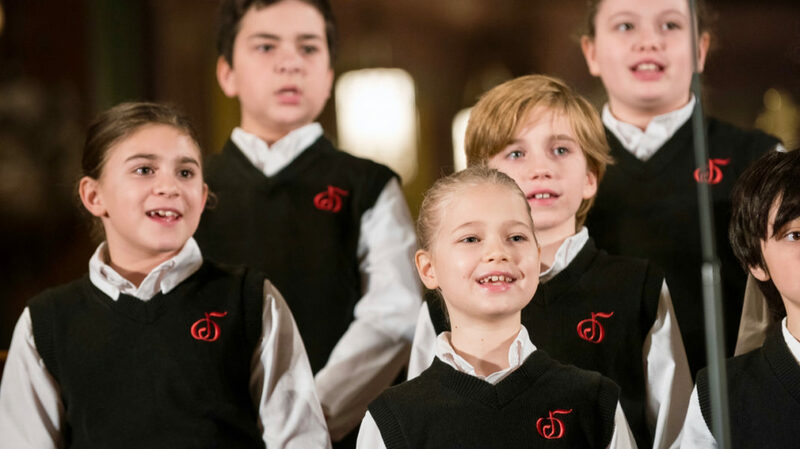 Vocal technique, vowel formation, breathing, diction and phrasing are emphasized in order to create a beautiful and professional sound, while sight-singing intervals and rhythms will be practiced in Kodály training. Sarah Childers, is a Mississippi born opera singer and educator. She is a diverse singer performing repertoire ranging from musical theater, contemporary music, opera and operetta. Ms. Childers has performed with the Savannah Voice Festival, Tupelo Symphony Orchestra, Mississippi Opera, as well as internationally in both Canada and Europe. Some of Sarah’s performance credits include Rusalka (2nd Wood Sprite), Mikado (Peep- Beau), Pirates of Penzance (Edith), Die Zauberflöte (third boy), Hansel and Gretel (Hansel), and Suor Angelica (Infermiera). As an educator, Ms. Childers has prepared students for auditions at Lincoln Center, The Metropolitan Opera Children’s Chorus, and America’s Got Talent. 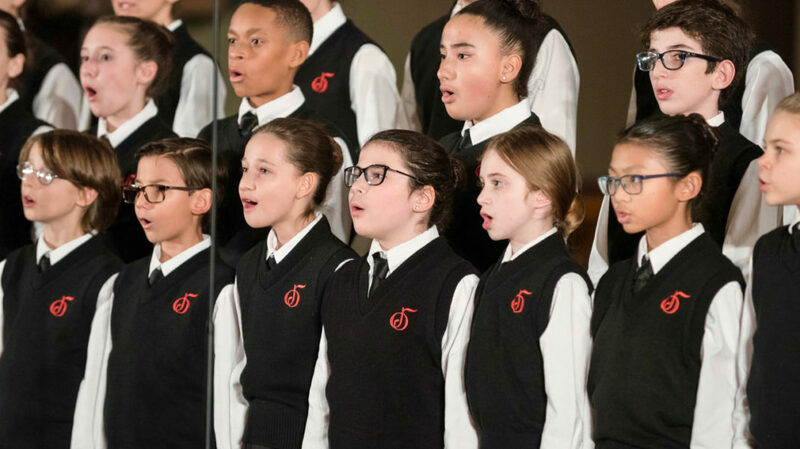 She enjoys teaching out of her private studio in Manhattan and her voice and piano studio at Larchmont Music Academy where she also leads the academy’s chorus. Sarah serves on the voice faculty at the Manhattan School of Music’s summer program, where she leads the program’s chorus, teaches private voice and serves as an acting teacher. Ms. Childers received a Master of Music degree in vocal performance at the Manhattan School of Music. The Minuet Level in New York rehearses at The Church of St. Paul the Apostle, near Columbus Circle, on Wednesday afternoons. The Chorus is in session from September through May, and does not have rehearsals during the summer months of June, July and August. Please read below for more detailed information about scheduling and tuition, which will also be covered thoroughly during the application process. Members of the Sonata Level are expected to possess basic skills and knowledge in the areas of tone, vowel formation, diction, breathing technique, and musicianship. 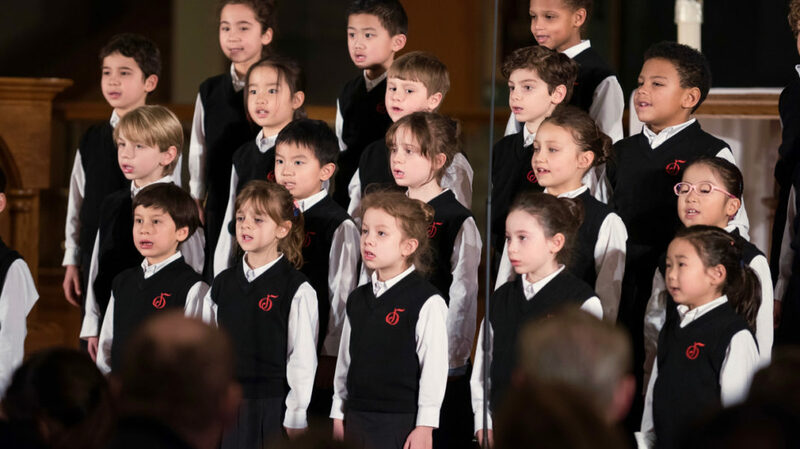 From here, students are taught the beginnings of advanced choral and vocal skills, including singing in 2-part harmony within the context of more sophisticated repertoire that will include texts in foreign languages. The beginnings of advanced Kodály Method skills will also be employed as part of the curriculum. Madolyn Accola received a Master of Arts degree in music education from Hunter College and a Bachelor of Music degree in music education from New York University. 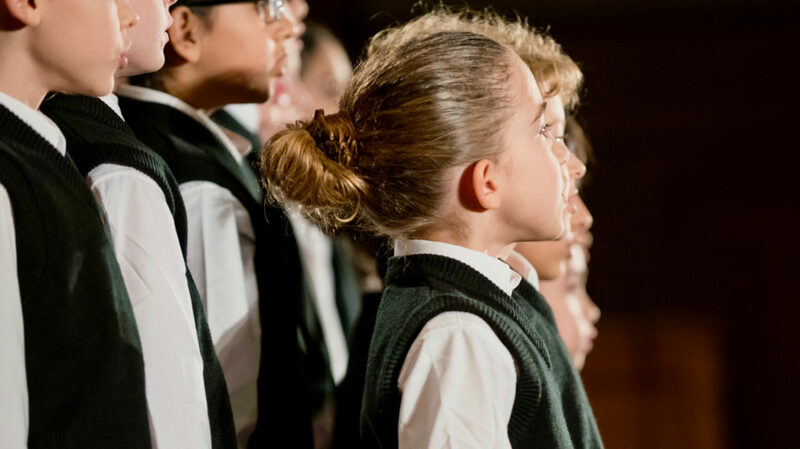 She currently teaches at Friends Seminary in Manhattan where she instructs classes in general music and choir, utilizing Kodály and Orff Schulwerk methodologies. Madolyn completed her Kodály Certification and Apprentice Student Training at New York University and her Orff Schulwerk Certification at Hofstra University and Virginia Commonwealth University. 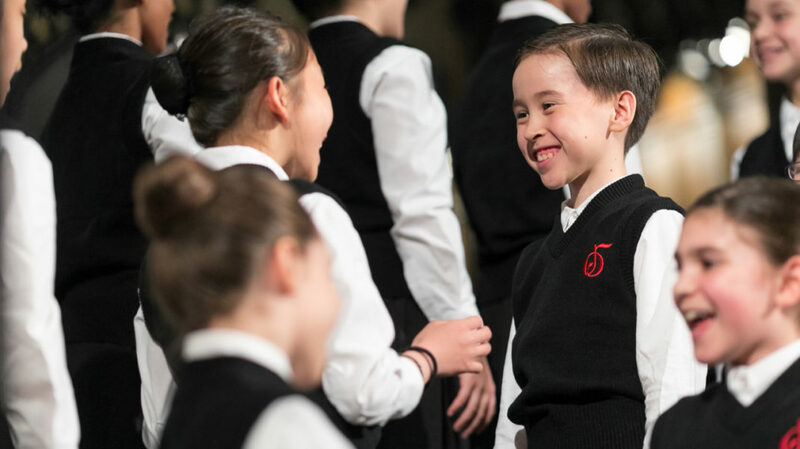 Prior to joining the Friends Seminary faculty, Madolyn worked at VOICE Charter School where she prepared choirs to sing at renowned performance venues such as Symphony Space, El Museo del Barrio, Nassau Coliseum, and Madison Square Garden. As a presenter, Madolyn has led sessions for the Organization of American Kodály Educators, the New York State School Music Association, the Kodály Organization of New York, the Westchester County Arts Leadership Association and Hunter College. 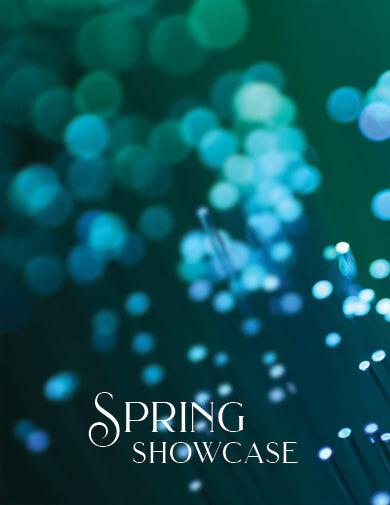 Madolyn’s writing is published in The Orff Echo (Winter 2018) and in Kaleidoscope, a Collection of Standards-Based Lessons for the K-8 General Music Classroom (Alfred Music Publishing). Beatriz de Mello is an educator, composer, church musician and performer. She comes from a diverse musical background and has been mentored by some of the greatest icons in the musical world, such as American composer David del Tredici and jazz pianist Herbie Hancock. 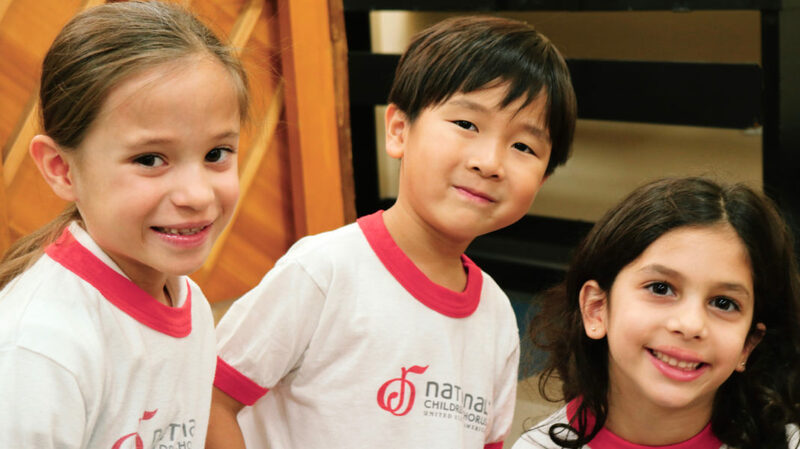 Beatriz is now passionate about sharing the love of music with students of all ages. She has performed and also conducted children choirs in Carnegie Hall and NJPAC, among other venues. Holding a special affection for choral music and the landmarks of the repertory, she hopes to spread an affirmative musical message which is momentous in our day. The Sonata Level in New York rehearses at The Church of St. Paul the Apostle, near Columbus Circle, on Tuesday afternoons. The Chorus is in session from September through May, and does not have rehearsals during the summer months of June, July and August. Please read below for more detailed information about scheduling and tuition, which will also be covered thoroughly during the application process. Members of the Concerto Level represent the highest levels of skill and maturity within the Junior Division. 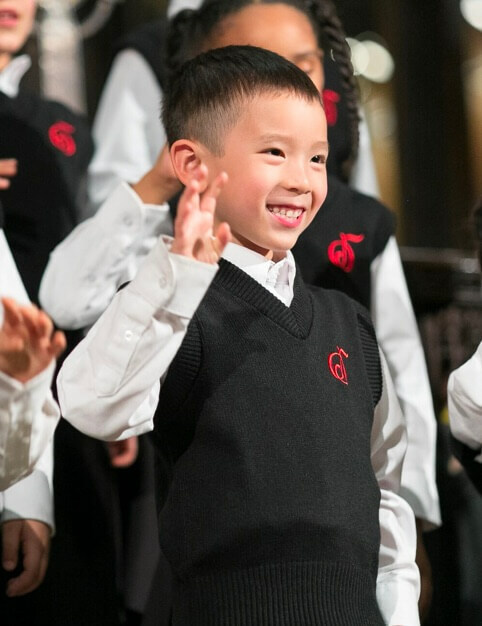 Students are expected to possess advanced skills and knowledge in the areas of tone, vowel formation, diction, breathing technique, and musicianship. 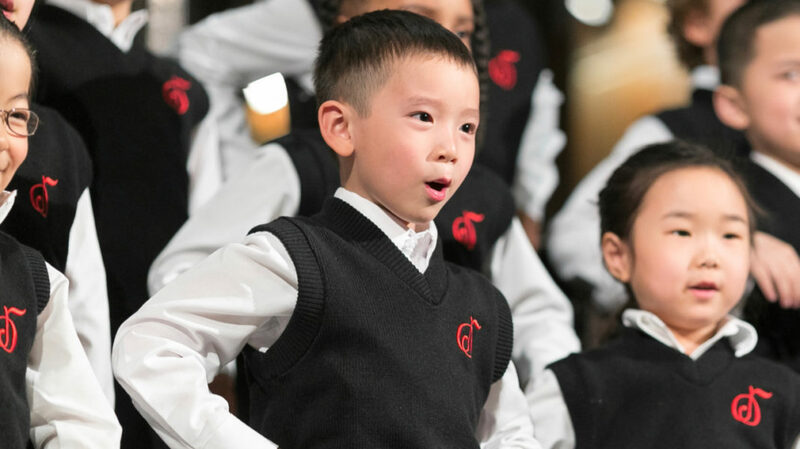 From here, students are taught high-level choral and vocal skills, including singing in 2-part harmony within the context of complex repertoire that will include texts in foreign languages. Advanced Kodály Method skills will be employed as part of the curriculum that preps children for promotion to the Senior Division ranks. 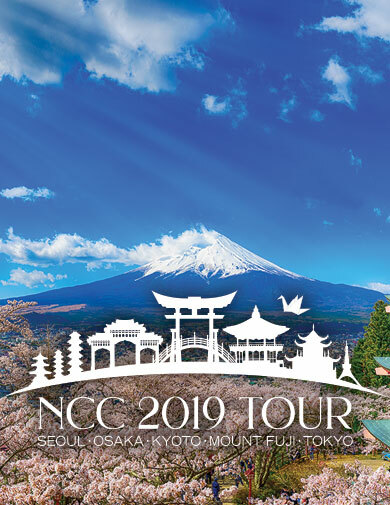 Internationally acclaimed opera and musical theater cross-over Mezzo-Soprano, Nora Graham-Smith is delighted to join the team at NCC as a Voice Instructor. This summer, Nora reprises the title role in Pacific Opera Project’s “Carmen,” at the Ford Amphitheater in Los Angeles, after having performed the Spanish gypsy under the baton of Maestro Lorin Maazel in Maryland and Virginia, California, and Mississippi. A prolific cross-over artist, Nora’s recent turn as Nellie Forbush in Annapolis Opera’s “South Pacific,” was hailed by The Baltimore Sun as “an absolute pro with a bravura talent,” and her Julie LaVerne in “Show Boat” with Utah Festival Opera was lauded as the “emotional and technical highlight of the production.” Nora has performed the world over with Opera Theatre d’Avignon (France), Royal Opera House of Muscat (Oman), Fondazione Teatro Petruzzelli (Bari, Italy), Szeged Opera (Hungary), Kungliga Operan (Stockholm, Sweden), Cincinnati Opera, Palm Beach Opera, Syracuse Opera, Toledo Opera, and Aspen Opera Theater. Alice Rogers serves as a Music Teacher Mentor with Education Through Music, a non-profit organization committed to fostering music education in NYC schools. An alumna of Ithaca College, she earned her undergraduate degree in Music Education on full scholarship, pursuing studies in piano and trombone. She went on to complete her M.M. 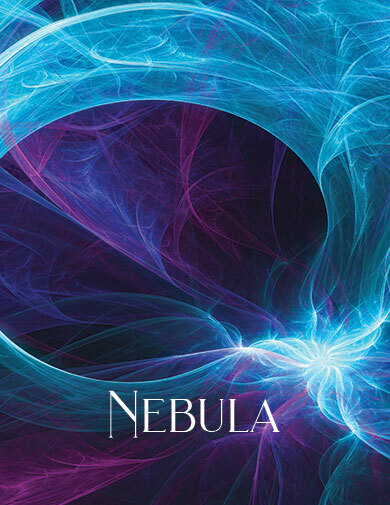 in Musicology from Northwestern University while maintaining a graduate assistantship. A veteran educator, she has taught primarily in the public schools of Lake Placid, New York and Southwick, Massachusetts, and is an experienced music director and pianist for high school and children’s musical theater productions. She is currently pianist for musical theater productions at Manhattan College, and a music skills instructor at the Music Conservatory of Westchester in White Plains, NY. The Concerto Level in New York rehearses at The Church of St. Paul the Apostle, near Columbus Circle, on Tuesday afternoons. The Chorus is in session from September through May, and does not have rehearsals during the summer months of June, July and August. Please read below for more detailed information about scheduling and tuition, which will also be covered thoroughly during the application process.